As we bring our topic series on media skills to a close, we hope you’ve found these introductions to Twitter, blogging, writing Op-Eds, creating audio and podcasts, measuring your online impact, and conducting online research useful. We’ve collected them into a eBook here and we encourage you to share it with your colleagues! We know that many of you are already active tweeters, bloggers, etc. and we’d love to hear some of your ideas, experiences, tips, etc. 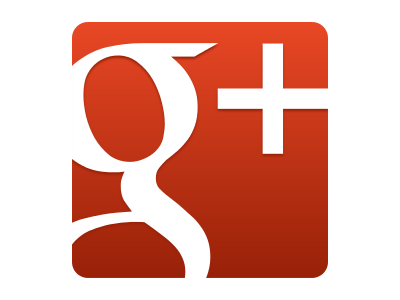 Please feel free to tweet @JustPublics365 or leave comments on our blog. If you plan to be at the American Sociological Associate meeting in August, please follow our Twitter handle and join us in live tweeting the conference! This entry was posted in Knowledge Streams, Topic Series and tagged academics, scholarly communication, social media on July 27, 2014 by Collette Sosnowy. When your area of scholarly expertise becomes part of a news cycle, you have a chance to jump in and add your perspective to the conversation. 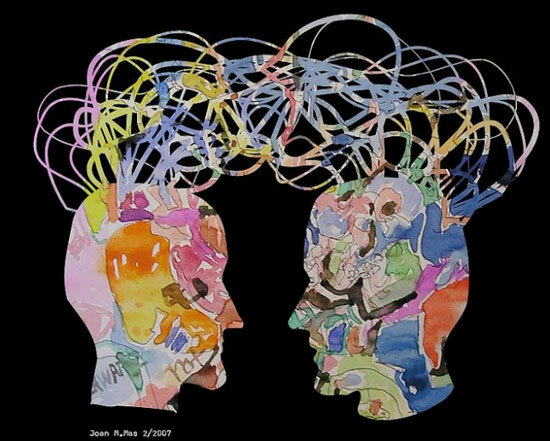 You may be burning to refute an argument or clarify a popular opinion or, more ambitiously, change the direction of a longer conversation. However, it can be hard to know how to do just that. Here are a few simple tips to help you get started. An excellent way to bring your work and perspective to a broader audience and inform public opinion is to write Op-Eds for mainstream publications. In this post, I’ll give some basic guidelines for writing Op-Eds that effectively present your academic work and link it to the topic of the moment (or longer!). The challenge for many academics is striking a balance between the complexities of a subject and making it accessible to an intelligent public. Academics are fluent in the language of expertise. We often define this in terms of our discipline, sub-discipline, and methodological practices. But even smart, informed readers cannot be expected to know disciplinary ins-and-outs, (and they may not care). For example, labor experts who focus on intersectionality may have significance among our tribe, but that can mean very little to readers of the Washington Post. However, if that labor expert can link her specific niche to broader issues of public concern, it will have far more meaning to the average reader. For example, her scholarship can inform issues about gender wage gaps, criminal background checks on hiring practices, and the decline of the black middle class. Those are all issues generally understood and hotly debated in the media. Whichever media outlet you pitch a piece to or its subject matter, an Op-Ed should: 1) establish your credibility 2) argue for a compelling point-of-view and 3) consider counter-perspectives. Conclusion: Have a clear ending, and if you can, circle back to your lede. Your lede should be brief, to-the-point, and make the connection to the news hook clear. If you are a labor sociologist, it is clear how your argument relates to that a news story on disparities in earnings. At other times, the connection can be less clear, but no less compelling. For example, a labor sociologist could just as easily use a popular movie like The Wolf of Wall Street to discuss gender, sexism and financialization during the 1980s. In either case, your lede should establish who you are, why you are talking about this topic, and how it relates to a news item of interest. To present who you are and why you are talking to this subject, you should establish your credibility very early on. One way to do this is to lead with your baubles. Consider every title, position, and publication you hold and highlight the ones that best represent you and the relevance for the topic. Each of these signal to editors and a general audience that you are expert. This is analogous to using citations efficiently in an academic article.The primary difference is that general audiences generally do not want a literature review or bibliography. Instead, they need to trust that you know the literature. To establish that; speak to who you are rather than what you know. The thesis, argument, counter-argument, and conclusion are more self-evident. Just remember to stick to one point, make the connections between each piece of evidence clear for your audience, and do not rely on jargon. A well-crafted Op-Ed, written by an expert who can translate relevant research for a broad public audience is both attractive to a media outlet and a valuable contribution to public intellectual life. 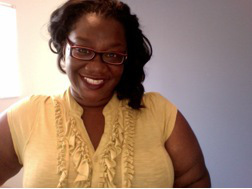 ~ This blog post was written by Tressie McMillan Cottom (@tressiemcphd),a PhD Candidate in Sociology at Emory University and a PhD Intern at the Microsoft Social Media Collective in Cambridge, MA. She has written Op-Eds for the New York Times (here and here) and is a regular columnist for Slate Magazine. 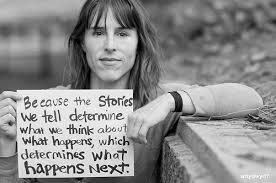 More of her writing can be found on her website here. This entry was posted in Topic Series and tagged media skills, scholarly communication, Topic Series on July 14, 2014 by justpublics365. Being a scholar means keeping track of your productivity – all those articles, conference presentations and books we work so hard to create. With the proliferation of digital technologies, scholars can have an impact in lots of ways and there are new ways to track this impact, but it can be confusing and overwhelming at first. In this post we’re going to offer you a brief introduction to the mechanics of maximizing the impact of the kinds of digital media tools we’ve already covered in this series, like Twitter, blogging and podcasting. An important part of taking your scholarly identity online is minding the details. When we create print documents, we routinely perform familiar tasks that make the work appear more polished and professional, like formatting the cover page or setting the margins. Yet the online equivalents of these activities are too often brushed aside for expediency. Who has time to add tags and tinker with all those settings? Take the time. Simple actions like using thoughtful titles and headers in your blog posts, assigning tags or keywords, and summarizing your posts into 2-3 sentence abstracts can enhance the visibility of your content in search engines and improve the look of your posts when they are shared on social media. If you use WordPress for your blog, many of these functions are provided by easy-to-use plugins, so you don’t have to become a web designer or metadata expert to benefit from these techniques. But there are some basic principles to remember as you create content on the web to help you connect with your audience—and ensure that they can find you. What is SEO and what does it have to do with academic blogging? SEO stands for search engine optimization, and the basic premise is that understanding how search engines index and retrieve materials on the web allows us to structure our work so that it has a better chance of showing up in search results. If you’re blogging on a self-hosted WordPress site, I highly recommend using the WordPress SEO by Yoast plugin, which installs a simple set of menus on your dashboard so you can easily customize the most important components of your post’s metadata (the data about the post that helps web crawlers identify the main topics of your post). Regardless of what platform you choose, the following tips will help you flag the most important keywords to search engines and improve your chances of getting your posts included in search results. Choose your title carefully. We all love being creative, but if your post is about unsafe working conditions, include those words in the title. 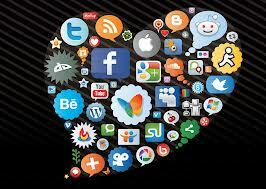 It helps in search engine retrieval and in social media sharing. Use html headers (h2, h3, etc.) when breaking up blog posts and make them meaningful. Descriptive headers allow readers to scan through quickly, and search engines will place greater weight on the keywords used there when indexing your post. Get to know your meta tags. 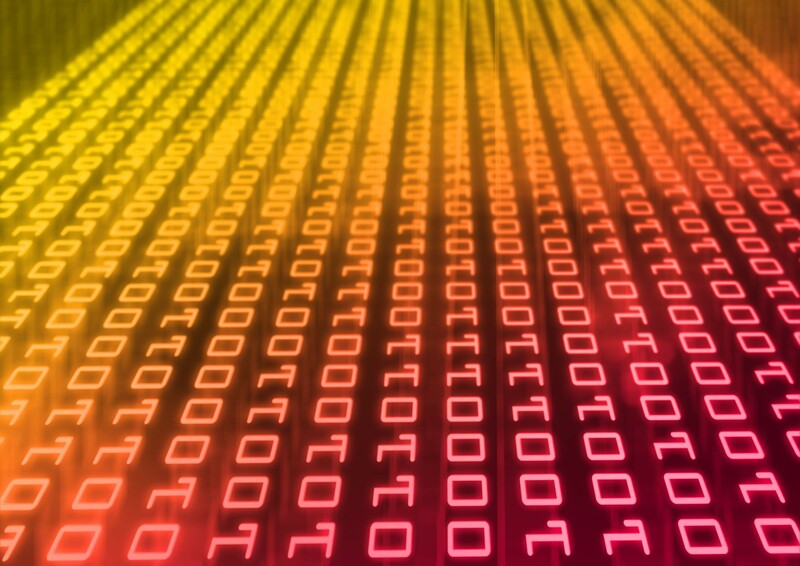 Meta tags include descriptive information about your web page. You know that snippet that appears in Google’s search results? That’s controlled by your site’s meta tags, so it pays to pay attention to them. If you use Twitter to share links, as many academics do, you’ve likely noticed that some websites include a preview of the content directly within the tweet. Likewise, Facebook includes an image and summary content whenever a link is shared. As authors on the web, we have control over what is displayed in these areas, but it means taking a few minutes to check the details of our posts. Librarian Eric Phetteplace has written an excellent introduction to using Twitter Cards and Facebook’s OpenGraph Metadata Protocol to enhance the way a site appears when it is shared on these platforms. Facebook’s OpenGraph Debugger tool provides a preview of what a link will look like when it’s shared on someone’s timeline, and will flag any errors in the metadata for that site. 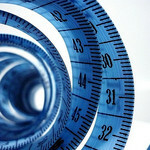 To see how visitors to your blog are interacting with your posts, most platforms provide basic data and will distinguish between page views and unique visitors. Many will also tell you what search terms brought people to your post, and what site or social media service linked, or referred, them to your site. To drill further down into detailed metrics, Google Analytics stands alone for in-depth analysis, but it can get rather complicated quickly. 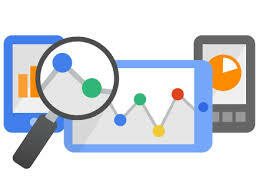 Google offers free resources (online courses and tutorials) for learning and implementing Google Analytics on your website, including a Setup Checklist that goes over the details for getting started with the service. Altmetrics tools like Impact Story and Plum Analytics can capture the reach of work outside the traditional formats of academic articles and books, including blog posts, datasets, and slides, and will measure stats from social media sites as well. Bottom line: don’t let the immediacy of digital publishing platforms lead you to neglect the mundane tasks that lead to polished publications. Your audience depends on it. This post was written by Roxanne Shirazi (@RoxanneShirazi) Master of Arts in Liberal Studies (MALS) student and an adjunct librarian at the Graduate Center, CUNY. 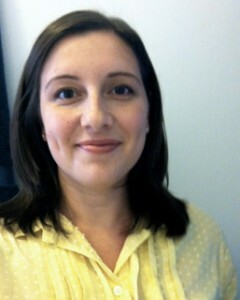 She is also a Founding Editor of the dh+lib blog. This entry was posted in Analytics, Topic Series and tagged analytics, scholarly communication, Topic Series on July 9, 2014 by justpublics365. Summer is typically the time when academics use to delve into research, writing, and brushing up on skills. We’re here to help with a new series on digital media skills for academics. Beginning this week and continuing through July, we’ll feature posts on how to use Twitter, Blogging, Op-Eds, Podcasts, Digital Research and Analytics. In the digital era, media skills are increasingly important for scholars to build an audience for their research. Here at JustPublics@365, we think hybrid training – in traditional academic research and digital media skills – is crucial for fostering collaborations between scholars, activists, and journalists in ways that further social justice. Previously, we’ve hosted discussions here about the ways in which scholarly communication is changing. Building on these conversations, our latest series deepens and expands the work of our successful MediaCamp workshops. We’ll be offering some of these workshops at the August meeting of the American Sociological Association in San Francisco. We encourage you to use and share all of these resources and check back with us for more! This entry was posted in eBook, Knowledge Streams, Topic Series and tagged academics, media skills, scholarly communication, Topic Series on June 24, 2014 by Collette Sosnowy. 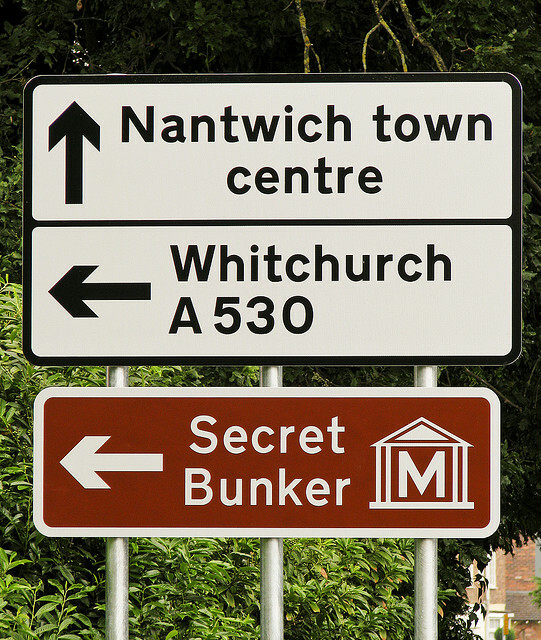 Should you put your work in a secret bunker? Photo is © marcmo, used under a Creative Commons Attribution-NonCommercial-NoDerivs license. Are open access dissertations really less likely to be published as a book? Or are they more likely to be found, read, and responded to, thus demonstrating to book publishers their appeal and marketability? Just how similar is a dissertation to a book, anyway? How much does it change between graduation and publication? Is the real problem tenure and promotion committees that expect applicants to have authored scholarly books, which, as the landscape of scholarly publishing evolves, seem to be increasingly difficult to publish? Do they need to adjust their expectations in response to current publishing realities? Do universities have a responsibility to share with the world the research produced in their graduate programs? Are long embargoes antithetical to scholarly values? Do they hinder disciplinary advancement? How long is enough? And where does this leave graduate students — in all disciplines, not just history or the humanities? Should they make their dissertations and theses open access, or should they embargo them — and if so, for how long? Space is limited! Please RSVP by April 23. This event is co-sponsored by the Office of Career Planning and Professional Development, the LACUNY Scholarly Communications Roundtable, the Graduate Center Library, and Just Publics @ 365. This entry was posted in Announcements, Open Access and tagged dissertations, embargo, embargoes, open access, scholarly communication, theses on April 21, 2014 by Polly Thistlethwaite. Our recently-concluded social justice topic series “Scholarly Communication in the Digital Era for the Public Good” is now available as an eBook. As we’ve done before with “Imagining New York City After Stop-and-Frisk” and “From Punishment to Public Health,” we curated a topic series – blog posts and multimedia content, like podcasts, around a specific topic – then compiled them into an ebook. In each one, we feature guests and highlight work here across traditional silos of academia, activism and journalism and media. In the 20th century, scholars communicated within relatively small fields of other experts and did so primarily through monographs and peer-reviewed journal articles. 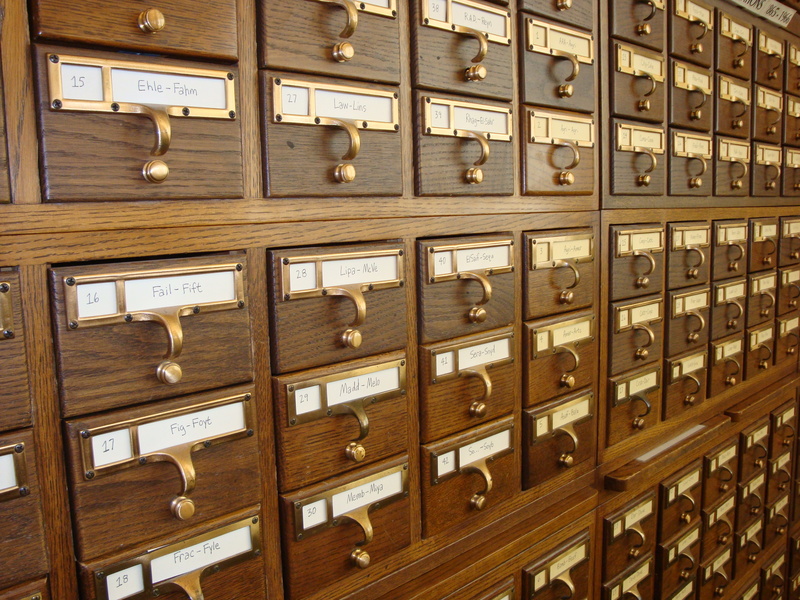 Those works of scholarship were discoverable because they were indexed and sorted into card catalogs and bound reference manuals. These analog forms of scholarly communication are now joined by new modes of digital expression that augment and occasionally supplant earlier forms. In this topic series, we explore changes in the modes and emphases of scholarly communication, examining the shift from book- and journal-centric academic publishing to open access hybrids and alternatives, including film and video. We also explore the ways that social media can serve scholars to connect their work with wider audiences, including non-academic readers, activists, journalists and engaged citizens. We examine scholars’ responsibilities to shape and reflect public understandings, and what academics do to contribute fully to efforts to enhance the public good. We encourage you to read, re-use, re-mix and share this eBook with fellow scholars, activists, journalists, and citizens. If you’d like to reach out, you can find us on Twitter @JustPublics365, Facebook or email us directly at justpublics365@gmail.com. This entry was posted in Activism, Topic Series and tagged scholarly communication on April 14, 2014 by Collette Sosnowy. 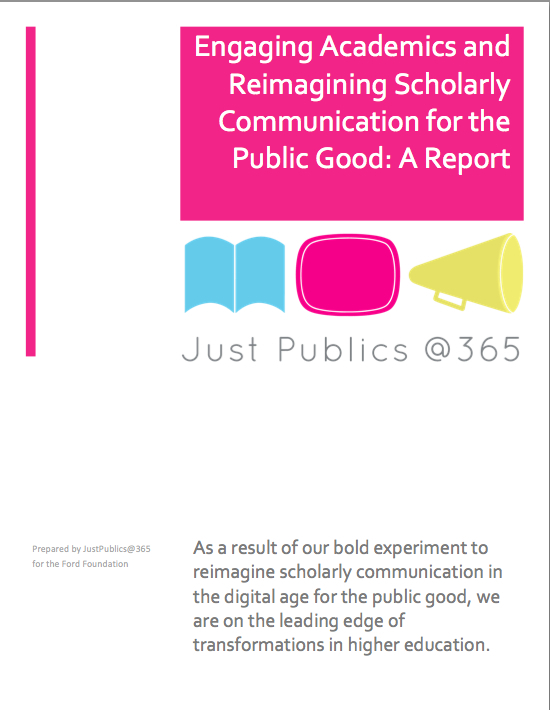 We are pleased to announce the release of “Engaging Academics and Reimagining Scholarly Communication for the Public Good: A Report,” which summarizes the work we accomplished in 2013. A novel approach to assessing the impact of scholarly work through qualitative measures such as storytelling, along with a discussion about the impact of JustPublics@365. Much of the work we produced is available on our website and is all licensed under Creative Commons for reuse (CC BY-NC-SA). We encourage you to incorporate these resources into your own scholarship, activism and teaching. Please join our email list to stay up-to-date on our latest work! You can download a PDF of the report here or read it online. This entry was posted in Announcements, Impact, Knowledge Streams, Open Access and tagged activism, impact, metrics, participatory, report, scholarly communication on April 7, 2014 by Collette Sosnowy. Eben Upton is best known as the man behind the Raspberry Pi, a tiny, $25 computer designed to help turn kids into programmers. Upton priced it at $25 because he thought that’s around what an average textbook cost: “I now understand that’s an incorrect estimate. If we had a better idea of what school textbooks cost we would have had an easier job with the engineering over the years,” he joked to Wired years later. It’s a funny story but also a sad story. Textbooks are expensive. More expensive than most non-students even realize. The above chart is national data. 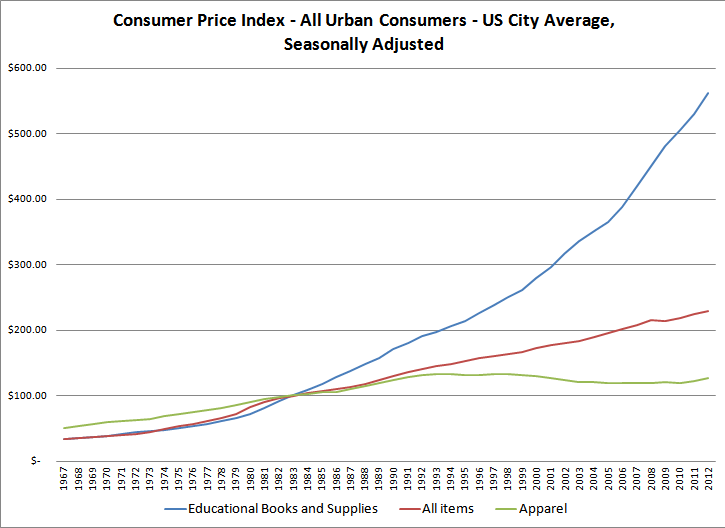 But textbook pricing is high, even when examined at the local level. I work at a public community college. We recently priced out our reserve collection, which is made up of textbooks for classes. We looked at data for 18 months of checkouts and found the average textbook in our study cost $109.36 and had a median price of $107.25. 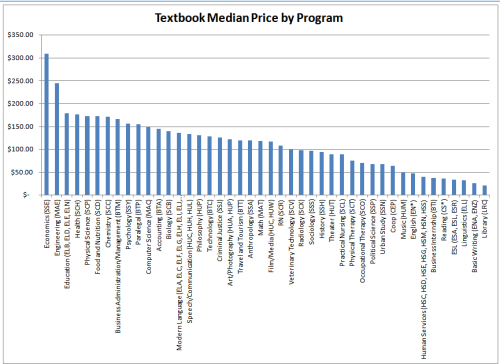 More than half of the programs represented in our reserve collection had a median textbook price of at least $100. 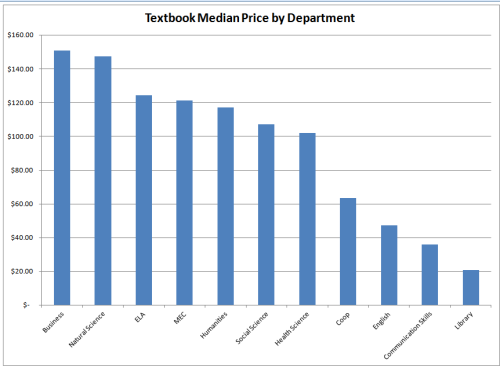 Seven of the 11 academic departments have textbooks with a median cost of at least $100. We know 61% of LaGuardia students living with their parents have family income of less than $25,000, while 79% of students living away from their parents have family income of less than $25,000. How are these students supposed to afford prices like these? And how many would love to have the $25 textbook Upton thought students were stuck with? If you’re wondering what your program costs, do a quick survey of your colleagues about their required textbooks. The results are probably comparable to what we see above. Open education resources (OER) are an attempt to solve the textbook pricing problem by giving students and faculty great content at more reasonable prices — even free, which many consider to be the most reasonable price point of all. You’ll often hear OER also referred to as open textbooks, but it’s really so much more than freely accessible textbooks — it’s freely available class content. That means textbooks, but it also means course shells, syllabi, class assignments, and slide decks. So while OER discussions often focus on cost from a student perspective, it also has the potential to help faculty develop and refine their own course materials. Student cost savings is but one component of OER. Reuse: This one could probably be called use, but it would ruin the alliteration of their thesis. Reuse is simply using content, which implies access, but also implies certain rights, like the ability to download content for later use. Thinking about this in CUNY terms, Blackboard, which so many of us use for managing our courses, makes it tough to share in a broad way. We can provide access to anyone who asks, but what if someone is from outside of CUNY? What if the person doesn’t know to ask for access? How can content be reused if it’s hidden behind a login and password? Redistribute: This also has access implications. It’s the right to freely share work, either with students or colleagues. OER content needs to be shareable. Also, while it’s generally accepted that OER material is always cost-free in digital form, David Wiley hypothesizes there’s money to be made in college bookstores printing OER material on-demand. Revise: OER is more about using static materials. An important part is the right to change material — to change it so it works for your students. We’ve all worked with a textbook and wished we could change certain parts of it. OER allows you to change those parts that don’t work for you. OER allows you to bend course materials to your pedagogy, rather than the other way around. Remix: This is the right to combine content from disparate sources. Maybe your ideal textbook is built from more than one textbook. Maybe your syllabus is based upon the best aspects of three or four syllabi. OER lets you build something new on the shoulders of your colleagues around the world. But it also allows faculty to build on your work, also. Faculty can also make their work available, either in pieces, via projects like the ones above, or by making an entire class publicly viewable using an open course tool, like Canvas. There are a lot of little things faculty can do to contribute to OER and to integrate it into their teaching. The CUNY Open Education Resources Group has created a short, 20-minute introductory class designed to provide an actionable overview of OER. The class can found here. You can keep up with OER news on the CUNY OER blog. Guest author Steve Ovadia is Web Services Librarian at LaGuardia Community College, CUNY. This entry was posted in Open Access, Topic Series and tagged OER, open access, open education resources, open educational resources, open textbooks, scholarly communication on March 6, 2014 by Steven Ovadia. Scholarly life is being transformed by digital media, changing both how we do our work as scholars and the audiences we can reach with our work. 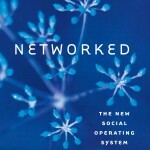 The study also overturns popular assertions (for example, by MIT professor Sherry Turkle) that technology creates social isolation by replacing in-person encounters with online connections: “Rather than digital media luring people away from in-person contact, larger networks make more use of digital media, overall and per capita,” the study concludes. I wrote recently about the way digital media is changing the way I do scholarship. In this piece, I chronicle the way a disgruntled conference Tweet became a blog post, then a series of blog posts, and then an article in a peer-reviewed journal. For me, the use of digital media is transforming how I approach being a scholar. Twitter is not simply a tool for disseminating research, it’s a tool I think with and through. Blogging is often the way I compose a first draft of a thought I may develop further for publication elsewhere. Of course, not every Tweet or blog post goes on to a life in peer-reviewed publication, but every peer-reviewed publication of mine has made a first appearance in some form on digital media. This way of doing scholarly life has opened up amazing new possibilities for much wider audiences for the knowledge we produce as academics. The papers that were tweeted and blogged had at least more than 11 times the number of downloads than their sibling paper which was left to its own devices in the institutional repository. If (social media interaction is often) then (Open access + social media = increased downloads). As this post is being written, the Taylor and Francis count shows that our “Why do academics blog?” paper has been viewed 1914 times in the seven weeks since it was published (we should point out that this is about seven times less than one of our blogs attracts on a normal weekday). The link to 50 ‘free view’ copies, which each of us were sent via email, was tweeted once by each of us and placed on the Facebook page connected to one of our blogs. These free copies were rapidly downloaded and people started requesting the article via Twitter and social media. Noting the interest, Taylor and Francis themselves issued a press release about it and (thankfully) made it gold open access. An article appeared on the‘Third Degree’ blog attached to the Australian newspaper ‘The Age’. Third Degree highlighted some of the more controversial aspects of the findings, which generated yet more hits on the article database. But in our minds the answer to the question “Should I blog?” is now a clear and resounding “Yes”, at least, if conventional indicators of academic success are your aim. Blogging is now part of a complex online ‘attention economy’ where social media like Twitter and Facebook are not merely dumb ‘echo chambers’ but a massive global conversation which can help your work travel much further than you might initially think. 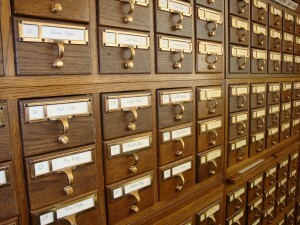 The research seems to support the claim that scholarly life is being transformed by digital media in a number of ways. How is it transforming your work? Tell us in the comments. This entry was posted in Publics, Topic Series and tagged digital media, scholarly communication, scholarly life on February 26, 2014 by Jessie Daniels. Open access publishing is crucial for higher education to reach larger publics. MOOCs without strong content can’t draw decent audiences. And as much as we can love a charismatic sage-on-the-stage, decent higher education requires, well, doing the homework. Our #FutureEd lunchtime discussion last Friday focused for a while on MOOC politics. Cathy Davidson’s Coursera experiment allows registered students access to the texts supporting the course, but students can’t link to them from elsewhere else (say, from a blog), and there’s no access to the readings after the MOOC is over. MOOCS vary in their degree of openness. Coursera is a licensed xMOOC platform designed to extend higher ed by lowering costs of delivery and eventually developing a profitable business model. xMOOCs, mostly funded through venture captial now, anticipate income from student consumers, someday, somehow. xMOOCs license text books and library databases to registered Coursera students. Registered students provide a limited audience of readers with limited access to course readings – the articles, books, book chapters, film, and videos assigned. How far can higher ed extend if essential reading continues to be tightly regulated, locked behind paywalls? Not far. cMOOCs (the 1st “c” is for “connectivist”) , on the other hand, involve open source, home-designed platforms that require no course registration. cMOOCs intend to extend peer-to-peer contact and learning without barriers. They are usually wholly accessible in every way without tiers or time-limits to content. cMOOCs have the greatest potential to extend higher education to new audiences. Open access scholarship is at the heart of this effort. Last spring’s JustPublics@365 Participatory Open Online Course was an academic project close in shape and spirit to a cMOOC. Organizers wanted everybody engaged with the course Reassessing Inequality and Reimagining the 21st Century: East Harlem Focus — those with a CUNY affiliation or not, those who registered for course credit or not — to have free, complete access to the entire body of presentations, discussions, articles, books, and film. We also wanted the readings and videos to stay available for those coming along after the course finished, here. GC librarian colleague Shawn(ta) Smith performed the journal literature review; I covered the books and book chapters. Out of 117 assigned readings (film, articles, book chapters, books), 65% were either found or forged open online, at least for the duration of the course. 48% of those 117 are now in permanent, permissible open access contexts — in open access journals, posted on author websites, self-archived in institutional or subject repositories. Another small percentage of the 117 are posted on the open web in violation of publisher’s licensing agreements. These “rogue postings” are freely discoverable until a publisher decides to issue a take-down notice, as Elsevier did recently in response to articles authors self-archive on Academia.edu. 65% is pretty good, I guess, but open access work has got to become the norm, not the exception, for higher ed to reach new citizen audiences. For MOOCs to work, open access scholarship must work. Authors and librarians can work together to make scholarly work free and available to larger publics, without violating publishers’ contracts. Help yourself to our presentation on the topic, and watch this space for more. This entry was posted in Open Access, Topic Series and tagged cMOOC, MOOCs, open access, scholarly communication, scholarly publishing, xMOOC on February 11, 2014 by Polly Thistlethwaite. We’re launching a new series on Scholarly Communication in the Digital Era for the Public Good. As we’ve done with the previous series, we’ll feature guests and highlight work here across traditional silos of academia, activism and journalism and media. These analog forms of scholarly communication are now joined by new modes of digital expression that augment and occasionally supplant earlier forms. In this final topic series, we will explore changes in the modes and emphases of scholarly communication, examining the shift from book- and journal-centric academic publishing to open access hybrids and alternatives, including film and video. We’ll also explore the ways that social media can serve scholars to connect their work with wider audiences, including non-academic readers, activists, journalists and engaged citizens. What responsibilities do scholars have to shape and reflect public understandings? What can academics do to contribute fully to efforts to enhance the public good? As part of our series here, we’ll recap the Friday in-person discussions we’re hosting of Cathy Davidson’s meta-MOOC on the future of (mostly) higher education (#FutureEd). These changes in higher education and scholarly communication are intricately connected to the debates happening around, “open access,” and we’ll feature regular contributions from experts in this area. We’ll talk about the changing landscape of “impact” in scholarly communication, as well as the implications this has for the work we do as academics, particularly for early career scholars. And, finally, we’ll feature regular interviews with some of today’s leading documentary filmmakers, discussing the many ways that their work traverses scholarship, activism, art, and journalism to create social change. It’s going to be a great series, we hope you’ll follow along! And, of course, at the end of the series, we’ll bring it all together in one, handy easy-to-read and download format. This entry was posted in Impact, Knowledge Streams, Topic Series and tagged scholarly communication on February 3, 2014 by Jessie Daniels. The key takeaway is that sociology, as a discipline, must begin to reimagine scholarly communitcation for the public good in the digital era. 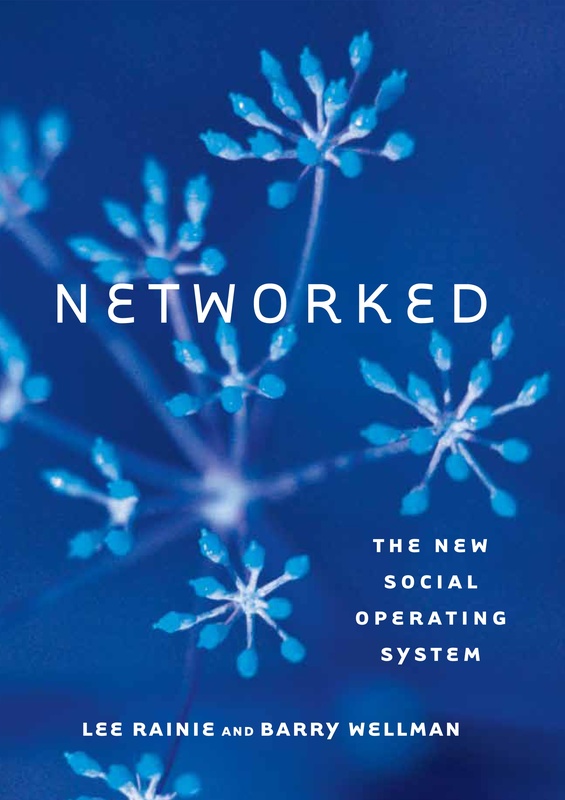 If public sociology can find a way to be digitally engaged and more fluent in the digital lexicon of the 21st century in which we find ourselves, then I believe there is hope for sociology to be a force for social good, and by that I mean, an engaged citzenry, and a more democratic and egalitarian society. it will fade into irrelevancy. The future of public sociology is up to all of us. This entry was posted in #AltMetrics, Knowledge Streams, Publics and tagged public sociology, scholarly communication on May 4, 2013 by Jessie Daniels. Isn’t everything up on the internet for free? Yes, most new books and articles appear in digital format, but NO-O-O they’re not (yet) mostly free. Libraries pay big bucks to license them, and the licenses require libraries to restrict access to narrow audiences (students, faculty, or people physically inside the library). Publishers sell journal articles for $15, $20, $35 or more, but people affiliated with a licensing library get them for free. U.S. copyright law enables restricted access and constructs a formidable barrier to information for anyone without a university affiliation. Some publishers profit mightily from this arrangement. 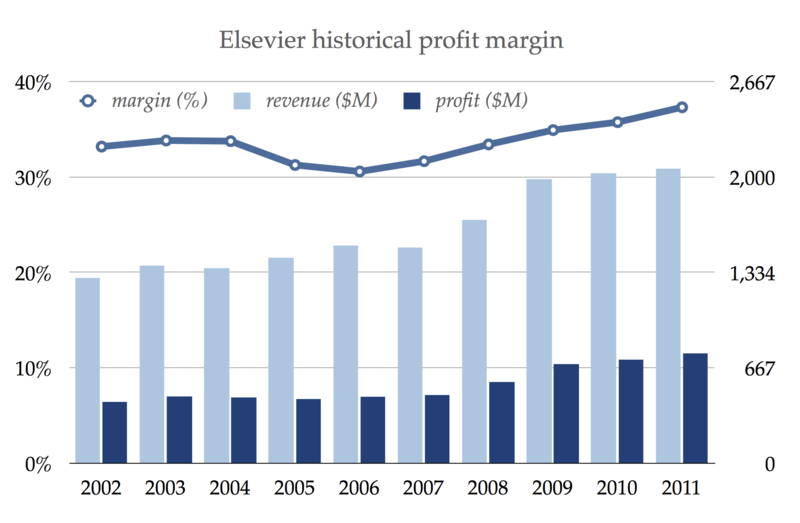 Elsevier, Springer, and Wiley all routinely clear around 30% profit by selling journal articles back to universities through library expenditures. Elsevier clears more profit than Walmart, Apple, and Disney. Data from Mike Taylor, The obscene profits of commercial scholarly publishers, 2012. Chart by Stuart Shieber, 2013. U.S. copyright law as applied in traditional scholarly publishing protects publishers interests at the expense of readers and authors. Online digital display of most post-1923 American book titles is limited to a few pages, unless you buy a licensed copy yourself or access it through your library license. Challenging U.S. copyright law and scholarly publication practices, activist Aaron Swartz drew a civil lawsuit for downloading a ton of JSTOR articles using a computer surreptitiously stashed inside a MIT’s library IP-space. 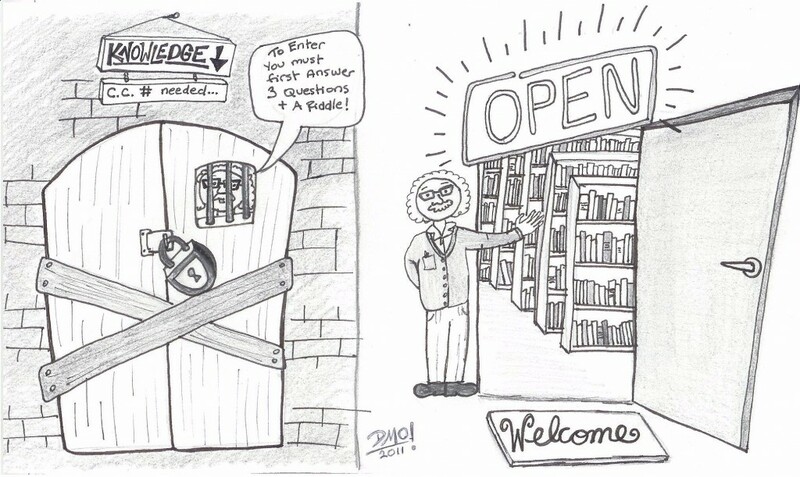 The Open Access (OA) movement seeks to change this. OA advocates ask writers, particularly academics who give their work to publishers for free, to publish open access with a Creative Commons license so readers everywhere can at least read/view it for free, then re-use and re-mix according to the author’s rules. Scholars want the widest possible impact by reaching the widest possible audience. Librarians want to stop spending insane amounts of money to publishers for academic work the university has already subsidized with faculty salaries. Readers want to read for free. Academic authors and activists have to make it happen. Publish in a journal that is all (or “gold”) open access with DOAJ.org. Or use a SPARC sample contract to negotiate with your publisher to retain author copyright. Or, use the Sherpa/Romeo tool to find a journal’s standing permission for open access author archiving (“green” open access). About 95% of academic journals have standing permission for authors to post already-published articles on the web after a 6 – 24 month embargo. If every academic would post their articles for following publisher guidelines already in place, there would be lots more reading available for our Spring 2013 POOC. A few academic book publishers experiment with open access, but there are relatively few new open access books. Books published in the USA prior to 1923 may be in public domain (unless publishers extend copyright protection), but post-1923 US books can’t be distributed on the web without tempting copyright litigation. Nearly all the books available free online are so old that the copyright protections have expired, or, they’re government works-for- hire, or, the authors subscribe to the principle that academic work should be free to the public. Posting anything online from a copyright-protected book, even a single PDF book chapter password-protected for “reserve” reading by traditional university course, can tempt litigation. A team of CUNY faculty, students, and librarians select and review every reading for this course. We’ve done our best to point you to the finest open access reading available, but we wish we had more to choose from. It’s up to all of us to transform the academy, to support open access scholarly publishing, and to make the work of public higher education a greater force for the common good. This entry was posted in Publics and tagged libraries, open access, pay wall, reserve readings, scholarly communication on February 17, 2013 by Polly Thistlethwaite. 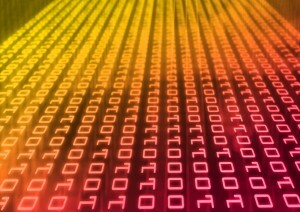 What does it mean to be a “Digital Scholar”? This entry was posted in Documentary, Knowledge Streams, Writing and tagged digital scholar, open access, scholarly communication on February 7, 2013 by Laura Kane.